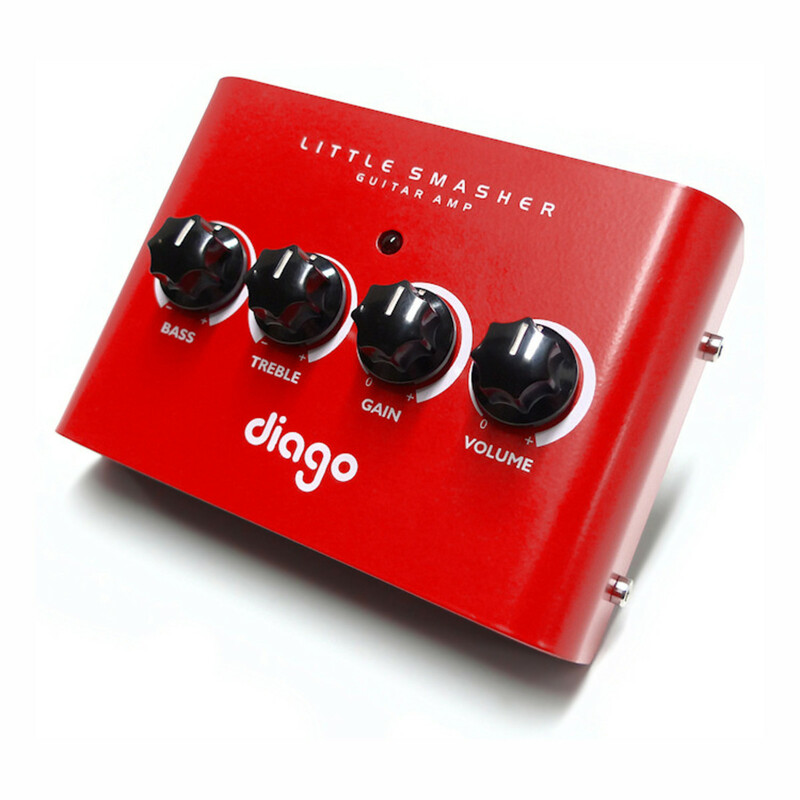 The Diago Little Smasher combines the responsive tone and immediate simplicity of the most sought after amps; with the compact size, reliability and volume control needed by today's discerning guitar player. The Diago Little Smasher is an amazingly lively and dynamic 5-Watt guitar amp head squeezed into a pedal-sized enclosure. It's ideal for small gigs, studio and home use, with more than enough volume to annoy the neighbours. A fully fledged amp head, its four analogue modelled cascading gain stages adjusted by Gain and Volume controls give a range of tones from chimey clean to plexi-esque rock crunch, and it's designed to work especially well with pedals up front if you need to push it further or want multiple channels. It also has active Bass and Treble controls with a massive 15dB boost and 30dB cut available on each. 5-Watts doesn't sound like a lot, but it's surprisingly loud and can drive a wide range of cabinets; anything up to a 4x12 which it does with ease - and sounds great with plenty of grunt. Its rich, harmonically complex tone and road worthy reliability comes by combining the very best design, components and construction methods. Package includes - Little Smasher, power supply, manual, Velcro and rubber foot pad.